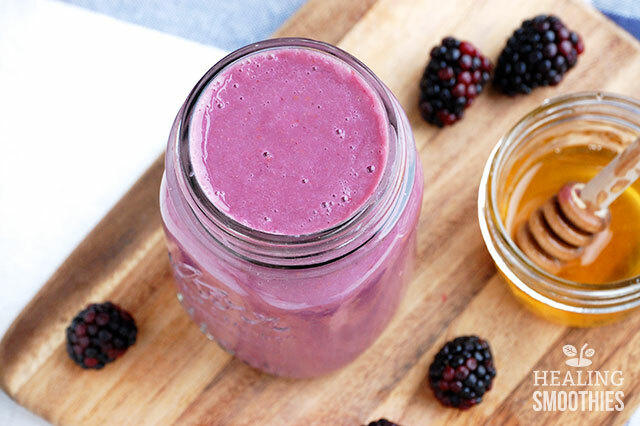 Besides having a beautiful, deep color, this simple blackberry smoothie is rich in fiber and antioxidants. 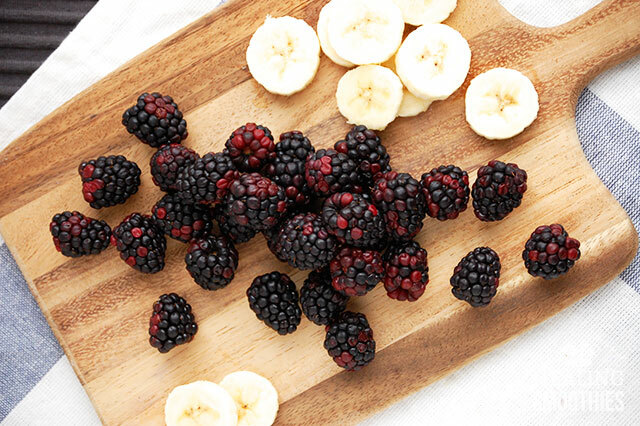 Blackberries are a surprisingly good source of fiber. They can supply you with a quick burst of energy, and keep you feeling full until your next meal. The high fiber may curb snacking, as well as aid in digestion. Similar to most berries, blackberries contain a quite a bit of anthocyanin. These antioxidants, which give blackberries their rich color, help your cardiovascular system and fight against cancer. Anthocyanins combat free radicals, therefore slowing cancer cell growth and reducing inflammation. Blackberries contain additional antioxidants as well. Vitamin C and ellagic acid both provide protection against chronic disease. One cup of blackberries contains half of the daily recommended intake of vitamin C, very beneficial to the immune system. Ellagic acid may prevent the growth of cancer cells and protects the skin against sun damage. Vitamin C also works with vitamin K and manganese to strengthen your bones. Vitamin C and manganese boost the production of collagen, a protein found in bone tissue. Vitamin K is similarly essential to maintaining bone health. Furthermore, blackberries have a good supply of vitamin A. Both vitamin A and vitamin C maintain the tissue necessary for a healthy digestive tract. 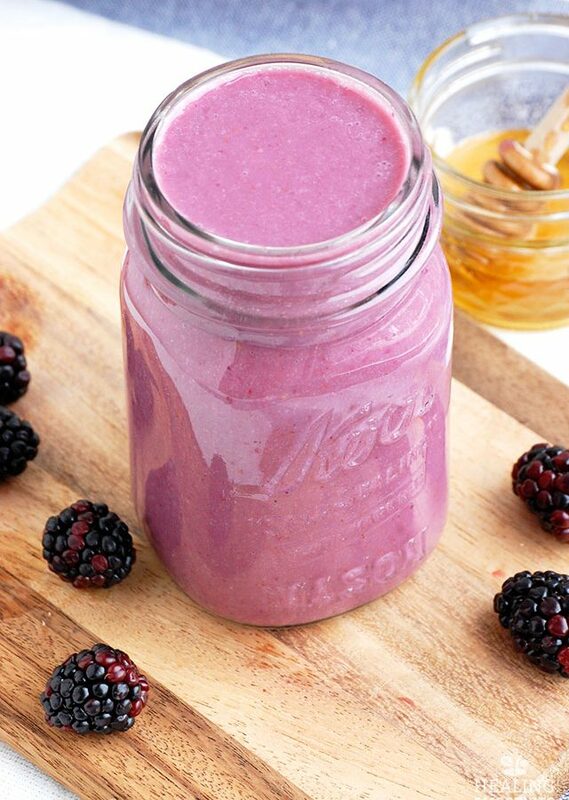 Together with the high fiber content of blackberries, this smoothie will greatly benefit your digestion. 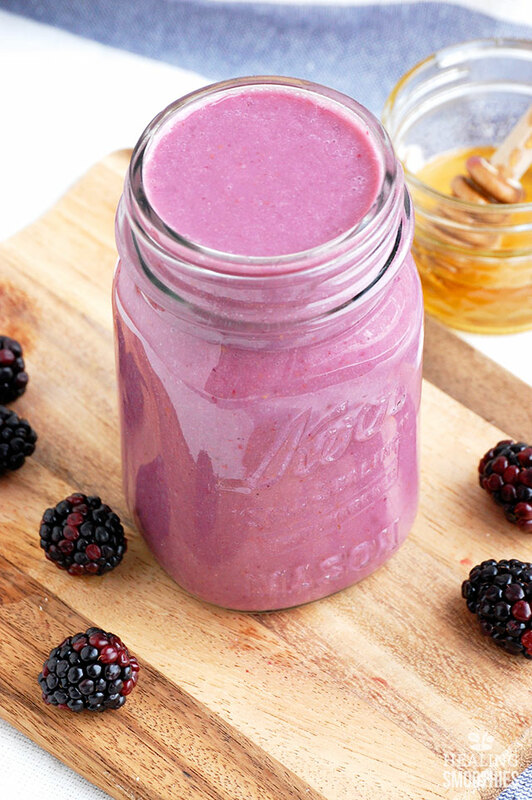 In this smoothie, you can use fresh or frozen blackberries. If you use frozen blackberries, you probably won’t need the ice cubes. Either way, blend the ingredients for at least a minute to get a smoother drink. A powerful blender is probably more suitable for this smoothie because of the seeds in the berries. 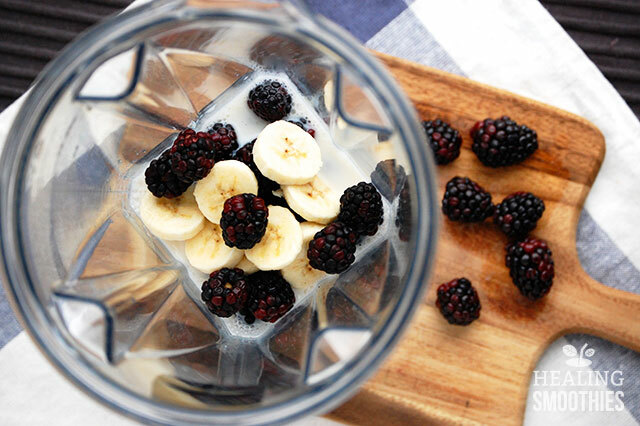 Bananas and pears are also included alongside the blackberries to naturally sweeten the smoothie and make it creamier, perfect for your afternoon snack. 1. 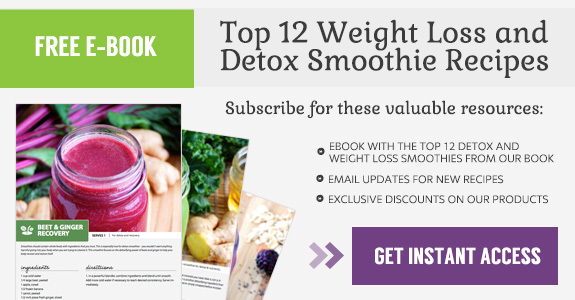 In a powerful blender, combine ingredients and blend until smooth. Add more almond milk if necessary to reach desired consistency. Serve immediately.